When you were growing up, you may have envied only children. They never had to share their dessert, they were exempted from sibling rivalry, and they didn’t live in constant fear of wedgies. Today, cast aside that envy and feel sad for those onlies, who don’t get to celebrate National Brother’s Day on May 24. When you were younger, you argued over LEGOs, whose turn it was to sit in the front seat, or who would get the last brownie. Yet in some strange way, those childhood squabbles served to make you closer over the years. As a grownup, you know that having a brother confers a number of advantages: a whole lifetime’s worth of jokes and memories, the camaraderie that comes from having endured the same sadistic algebra teacher, and that warm, fuzzy feeling you get at family reunions (OK, maybe that is the wedgie, or a poorly executed Indian burn?) . Beer? Ballgames? Barbecue? Brunch? Whatever you guys like to do, today’s the day to do it together. Even if it just means grabbing a bite to eat, take time out to bond with your brother. This doesn’t have to be as touchy-feely as all that, but it ought to be a bit more meaningful than slurring “I love you, man!” after a couple of Jameson shots. Just let him know that you appreciate all he’s done for you, or that you really dig hanging out with him. Unlike Mother’s Day, when it’s basically de rigeur to spring for flowers, perfume, or a brunch buffet, there are no guidelines when it comes to buying your brother a treat. How about a funny t-shirt you saw online, a book he’d enjoy, or movie tickets? If he’s a whiskey aficionado, get him that special bottle he wouldn’t buy for himself. Who knows, maybe he’ll share. There aren’t many people who can communicate volumes with one raised eyebrow or a kick under the dinner table, but brothers can. Over the years, you forged a bond built on long, boring car trips, Mom’s lame puns, and fighting over the last serving of Dad’s famous 4th of July potato salad. Forget scorned women — hell hath no fury like a protective brother. From schoolyard spats to a family fracas to a barroom brawl, your brother will be there for you. Unless, of course, you’re the one fighting with him. Stay on his good side, though, and you two can take on the world. 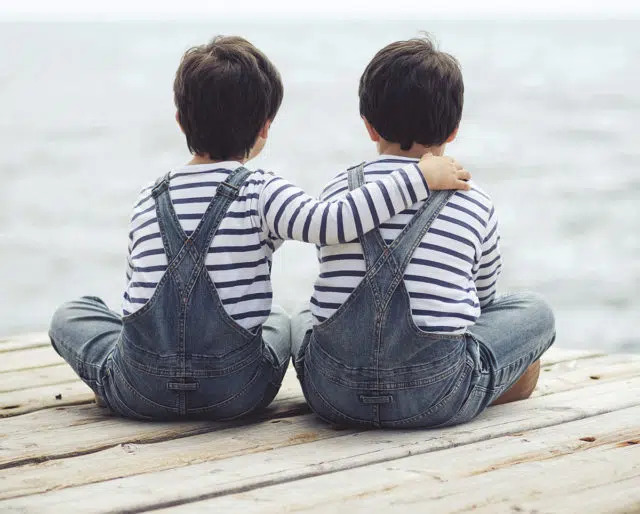 Robert Frost famously said, “Home is the place where, when you have to go there, they have to take you in,” and that extends to wherever your brother’s home is. You’ve fought over girls and you’ve gone without speaking and you’ve maybe said some choice words about one another, but at the end of the proverbial day, he ain’t heavy. He’s your brother.